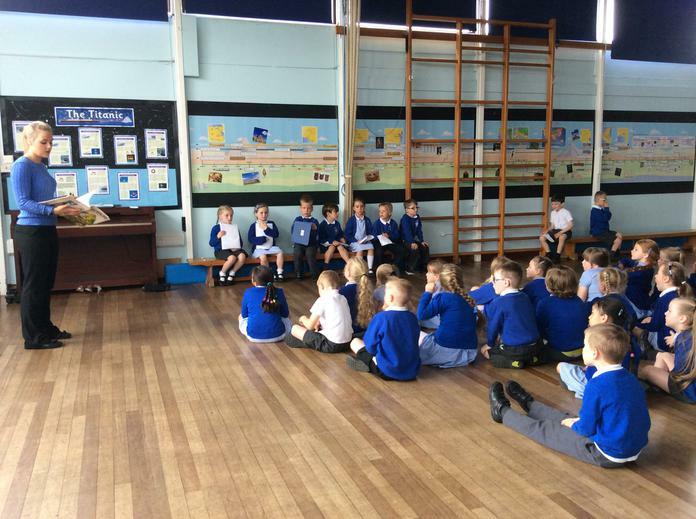 In assembly today, Miss Metcalfe read a story about dinosaurs. some children from 1M also read out their very own dinosaur stories that they had written! They were fabulous! Well done, 1M!